LADY APPLE PROVES THE ADAGE that good things come in small packages. Lady is small but intense! Its bright white flesh is crisp and juicy, with hints of citrus. Some liken it to the flavor of dried fruit. Lady’s red and green color varies depending on the amount of sunlight it gets; the green can lighten to yellow. Lady is a late-season apple, ripening in late October into November. 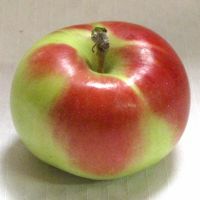 Because of its size, festive coloring, and ability to withstand a freeze, Lady is often featured in Christmas wreaths, and is also known as Christmas Apple. Lady is a brilliant sight in the orchard during late summer and fall, cascading in thick clusters. But Lady first and foremost is a culinary apple, packing a powerful punch of sweet-tart flavor. Its small size make Lady less than ideal for cooking, but they are popular in salads, eaten fresh, and pickled sweet or sour, in the latter case sometimes served with a hot sauce. Lady is one of the oldest known apple varieties, having been cultivated in France since the 1600s during the reign of Louis XIII. It may be even older, dating back to ancient Rome. The term “lady” has been a popular one when it comes to naming apples. The classic 1905 volume, Apples of New York, lists Lady Finger and Lady Sweet in addition to Lady, while the more recent Old Southern Apples (2010) lists Lady Skin plus four extinct varieties (Ladies Blush, Ladies Choice, Ladies Favorite, and Lady Lyons). The Apple Book, also from 2010, describes primarily European varieties, especially apples cultivated in the United Kingdom; it adds Lady Sudeley and Lady Henniker, named for the wives of British lords. This tiny heirloom is sometimes confused with Pink Lady, another late-season — but very new — variety. Pink Lady is a firm, crisp, tart and honey-sweet apple with a deep pink flush over a green skin. Pink Lady is an outstanding fresh-eating apple, and it is also good for cooking and in sauce. They keep several months with refrigeration. 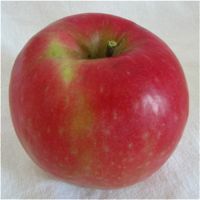 Pink Lady, introduced in 1989, is the trademarked name of an Australian cross of Golden Delicious with an Australian apple, Lady Williams. It was originally named Cripps Pink. We’ve made a few alterations to this recipe credited to Martha Stewart. Prick apples in a few places with a fork. Bring vinegar, sugars, water, and spices to a boil in a medium saucepan, stirring until sugar dissolves. Add apples and return to a boil. Reduce to a simmer, cover, and cook until a fork inserted in the center of an apple meets slight resistance, about 8 minutes. Stir in cranberries, transfer to a bowl, and let cool. Cover, and refrigerate for at least 8 hours (or up to 1 month). Serve apples cold or at room temperature. 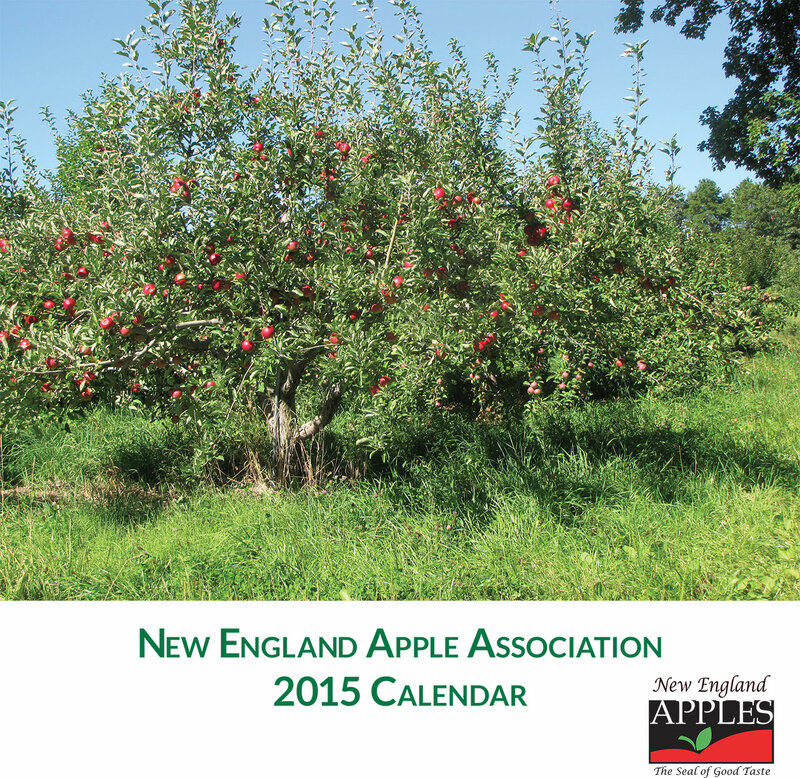 THERE’S STILL TIME to order the 2015 New England Apple wall calendar. 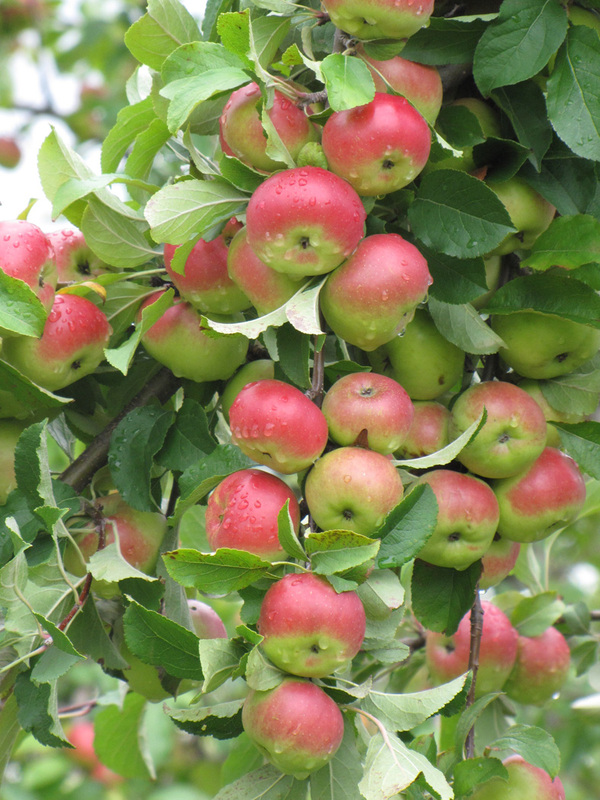 Each month features a different New England orchard and apple variety. The 12”x12” full color calendar makes an ideal gift for the apple lovers on your list. IF YOU ARE LOOKING Lady apples, follow the “Find An Apple Orchard” link on our New England Apples website, click on “Lady,” and then “Find Orchards” at the bottom of the page. To view photographs of more than 120 New England apple varieties, go to Apple Varieties. For a description of each one, click on the image, or watch our three-part series on New England apple varieties, featuring Chuck and Diane Souther of Apple Hill Farm in Concord, New Hampshire. Part two, “New England Varieties—Old and New” includes Lady, and is featured here.